An important debate in modern literary criticism concerns the exact relationship between the ancient epic and the novel. Both the epic and the most ambitious modern novels are large-scale attempts to present a comprehensive view of the world through the experience of a representative hero. However, in the older tradition the hero stood for the aspirations and highest ideals of his society. The protagonist of the modern novel is usually at odds with that society, whether as exile, active rebel, or antagonistic critic. 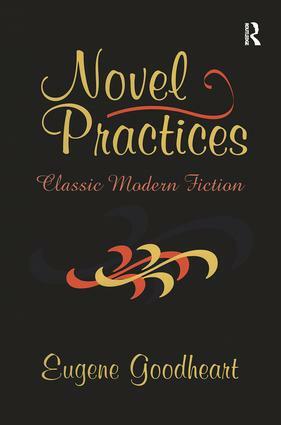 In Novel Practices, the distinguished literary scholar Eugene Goodheart surveys a representative selection of modern novelists tracing how the epic impulse has been reshaped under the conditions of modernity.